If you’re a business owner or hiring manager who’s getting ready to do some hiring, you may need to be aware of résumé fraud—especially if it’s been awhile since you last hired a new employee. As the recession drags on, every job opening has the potential to bring in more applicants than you might expect. Some could be long-unemployed applicants who desperately need work, while others could be gainfully employed and seeking new opportunities. No matter what the applicants’ backgrounds, some could go beyond stretching the truth about their work or education history and fabricate some—or all—of their résumé. With every job desired by more applicants, some may venture beyond getting creative to stand out from the competition into fraudulent means to land a job. These days, it’s not difficult to obtain a phony degree or diploma, or to create bogus college transcripts. Some applicants will go so far as to rent a mailbox and supply that address for a fake alma mater, so that any requests for verification come directly to him or her. They can then do whatever is needed to substantiate their claim of a degree. Employers can thwart this scam by having a pre-employment screening firm verify educational credentials, including what schools an applicant attended, any degrees earned and even grade-point averages. Employers may also ask the applicant for written authorization to obtain transcripts directly from a college or university. Job applicants may have a long history of magically matching their work experience directly to a job description, but now things have gone beyond a bit of résumé fudging. Expanding on job duties, exaggerating dates of employment or creating past employers out of thin air are not unusual occurrences. When you receive a résumé from an applicant, look for clues that he or she is either exaggerating skills or fabricating them completely. Some will use functional résumés, which offer a laundry list of job tasks performed, but don’t tie them to specific positions. This can hide any employment gaps or job-hopping. Asking applicants to perform written or verbal tests that can verify job skills is a good way to weed out those who are unqualified. And pre-employment screening is a great way to verify that an applicant actually worked for an employer listed on his or her résumé. Another good method of screening out fake résumés is to ask the candidate to complete a written job application that asks for the same information contained on a typical résumé. If you have an applicant who purchased a ready-made résumé online—a too-common practice—they may have not memorized its contents, and are u therefore nable to recreate it on the job application. Do not skip over these steps in the verification process, no matter how desperately you need to fill a position. You’ll almost never be sorry when you plan well advance and take your time. And once you’ve narrowed the field to a handful of candidates, conducting a thorough background check, credit check and employment verification through a trusted pre-employment screening service is your final step in hiring the right candidate that you will be able to trust. Legal experts say that employers who perform Internet searches on employment candidates risk violating employment and privacy laws. At a recent conference, employment attorneys warned that Googling applicants is akin to interviewing them, and employers should avoid doing so. 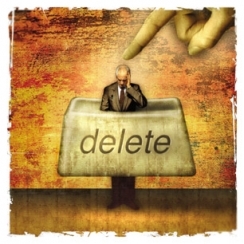 Internet searches can lead to inappropriate or incorrect assumptions about a candidate. For example, seeing photos of an applicant in which she is drinking, attending a religious service, protesting for a cause or in a hospital bed can automatically bring about questions or judgments that have nothing to do with her skills or ability to do the job. You cannot ask her about her religion or health in an interview, so why would you subject the candidate to an online search of her personal life in which these topics come up? In addition to jumping to conclusions, there is also the chance of mistaken identity. There are plenty of people who share names, but nothing else. One John Doe is a successful and respected business professional, while the next John Doe has an extensive criminal background. You can’t be 100% sure that you’re looking at your applicant’s profile unless he has given you access to it. The attorneys advise that employers should obtain an applicant’s permission before conducting an Internet search, and then give them the opportunity to explain any questions that come up. The conference attendees also heard advice about using caution when determining how employees can and should use social media. Policies should be established that set guidelines for employee use, to prevent them from harming the firm’s reputation or business. In a related matter, employers should also review their liability insurance policies to be sure that they are covered in case of lawsuits stemming from employee or employment candidate use of social media. Employers in every industry are vulnerable to sensitive data theft, financial losses, security breaches, and safety issues. Pre-employment credit checks and criminal background screening on all applicants can protect your company and your staff from possible harm. 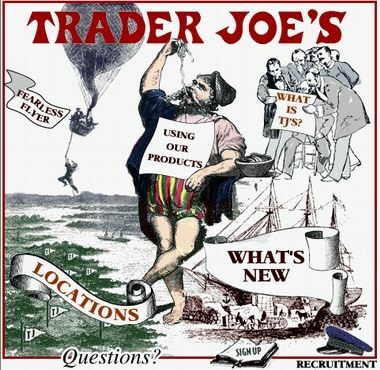 Trader Joe’s is a popular and growing specialty grocery chain, with locations scattered from California to Rhode Island, Wisconsin to Arizona. Part of the store’s success is its company culture which landed it on Fortune magazine’s list of best places to work. Trader Joe’s believes that happy employees make customers happy, and happy customers spend more money and come back more often. At Trader Joe’s, employee are valued, not expendable. They treat employees like they want their employees to treat customers. Opportunities are offered to everyone. Managers are promoted from within. Training is extensive, and each employee learns about the specialty products in detail. They believe it makes their work more interesting, and helps them stick around longer than the average grocery store employee. Employees need to know what is expected of them, and Trader Joe’s has that covered. While the number of employees in the store at any time may be few, in keeping with Trader Joe’s low-overhead approach, they are paid well. The company pays employees an average of $21 per hour, with health insurance and retirement benefits. A cross-training environment means that job descriptions are not strictly followed, and store managers often work side-by-side with cashiers to restock shelves or sweep floors. The collaborative, informal working environment allows crew members the freedom to be themselves and make their own decisions. The company focuses on finding highly motivated people with a knack for customer service and a passion for food. Working with other highly motivated people is a real perk for everyone. Trader Joe’s believes that your people are your brand. They trust their employees to make decisions and treat them with respect. They ask for and take employees’ contributions seriously. And they pay them well. All of this employee goodwill creates loyal crew members who grow with the company. And customers can see the differences between Trader Joe’s and other grocery stores. Some call shopping there like being part of a club, and think it’s a cool place to work. Many companies would love to hear their customers say things like this!